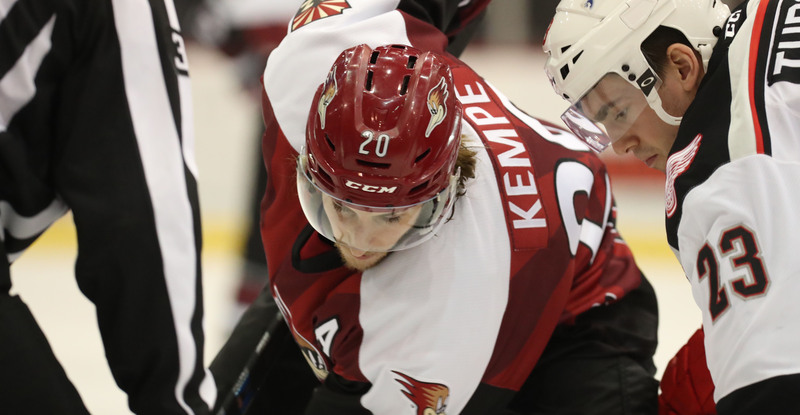 The Roadrunners fell to the Grand Rapids Griffins by a 4-1 score Saturday night at Tucson Arena. Grand Rapids built a two-goal lead within the first 10 minutes of the contest. 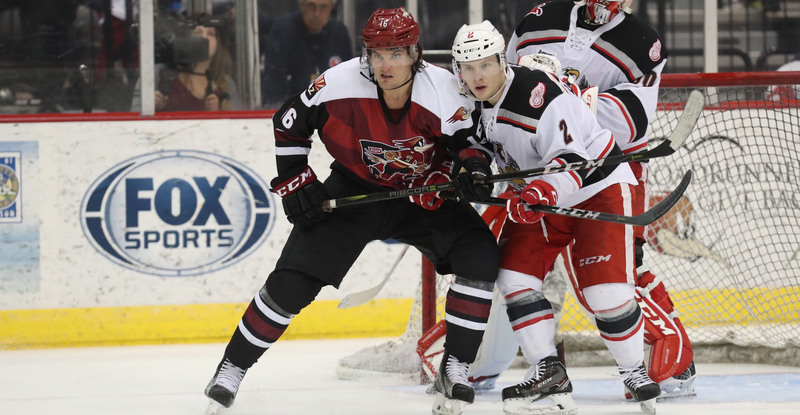 With 6:53 left to play in the opening frame, Lawson Crouse buried his 12th goal of the season, cutting the Roadrunners’ deficit in half when he spun and beat Grand Rapids’ Tom McCollum up-high with a shot from in close. Crouse’s goal extended his season-long point-streak to five games, the longest current stretch on the team. The Griffins responded with another two goals in the first half of the second period, upping their lead to 4-1. Hunter Miska was pulled following Grand Rapids’ fourth goal; he stopped 14 of the 18 shots he faced in 30:00 minutes of action. Adin Hill came in for relief, turning away all five shots he faced in the final 30:00 minutes of play, but the Roadrunners were unable to chip away offensively. With the Ontario Reign’s 3-2 loss to the San Diego Gulls, the Roadrunners’ magic number to clinch the Pacific Division title falls to 1. The team will take on the San Diego Gulls on Wednesday night at the Valley View Casino Center, where the puck is scheduled to drop just after 7:00 PM PST.